As the premier source for dominoes and domino accessories, our wide selection includes dominoes from Double 6 to Double 18, Number Dominoes and the original authorized games of Chickenfoot, Mexican Train, Spinner SuperTrain and our unique Texas Hold'Em CARDominoes. 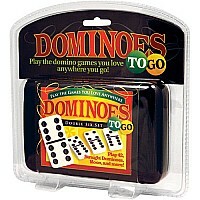 Our collection of travel domino games include Chickenfoot?, Mexican Train?, and Spinner? 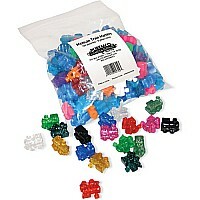 designed with new Fun Size tiles and large colorful numbers. The Zoo-minoes series of Double 6 dominoes includes dominoes with colorful images of dinosaurs, animals and ocean creatures and are the perfect gift for children of all ages.